The Jerusalem Biennale is a platform for professional curators and artists to present contemporary works that relate, in one way or another, to the Jewish world of content. 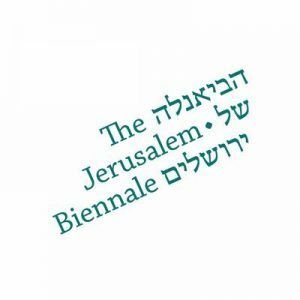 The Jerusalem Biennale was founded in 2013. Every two years, a growing community of artists, art lovers, collectors, writers, researchers and social activists gather in Jerusalem to celebrate Contemporary Jewish Art and to enjoy a variety of exhibitions, projects, site specific installation and events under this conceptual framework. The first Jerusalem Biennale hosted works by more than 60 artists, most of them from Israel and raised the simple, somewhat naïve, questions of, What is Contemporary Jewish Art? and Does the category even exist? The 2nd Jerusalem Biennale was larger and presented a broader range of perspectives: the portion of non-Israeli artists was significantly larger and many well-established artists took part. The title, Present Work, was tracing Bezalel founder Boris Shatz’s search for a link between Jerusalem and Jewish communities all over the world. introduced a Watershed moment: it was the largest gathering of Contemporary Jewish Art enthusiasts in the history of Jerusalem. The 3rd biennale hosted 31 exhibitions and projects from all around the world with 231 participating artists and an estimated 30,000 people in attendance. A two-day conference, titled Watershed: Boundaries and Spaces in Contemporary Jewish Art, was held in collaboration with the Van Leer Jerusalem Research Institute. The Biennale exhibitions and events spread throughout the centre of Jerusalem. The Biennale has been hosted by variety of museum and galleries around Jerusalem. As well as in variety of Jerusalem’s public buildings. While this presents many production challenges, it also provides the Biennale with many exciting opportunities to mount exhibitions in unexpected spaces. The Jerusalem Biennale attracts hundreds of visitors who are professionals in the field of contemporary art in general, and contemporary Jewish art in particular. 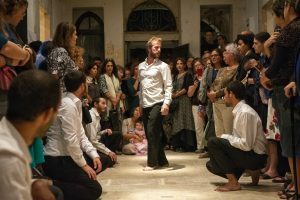 In addition, the Biennale has fast become a tourist attraction as more and more people plan their visits to Jerusalem around the Biennale dates in order to incorporate art into their trip. Publications about the Biennale in the foreign media, including publications in English, Spanish, Russian and French, have put Jerusalem on the map of contemporary art. 60 Raban Yochanan Ben Zakai St.
10 exhibitions, 7 venues and an events program, all under the framework of Contemporary Jewish Art. 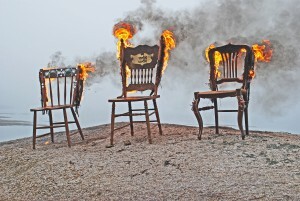 2nd Edition of Jerusalem Biennale 2015. The Jerusalem Biennale will be held for the second time between September 24th and November 5th, 2015 in different locations around the city center of Jerusalem. Open Call: Jerusalem Biennale 2015.